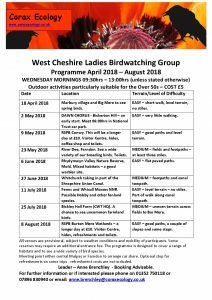 The West Cheshire Ladies Birdwatching group is a group of 8-10 ladies who usually meet on Wednesday mornings. 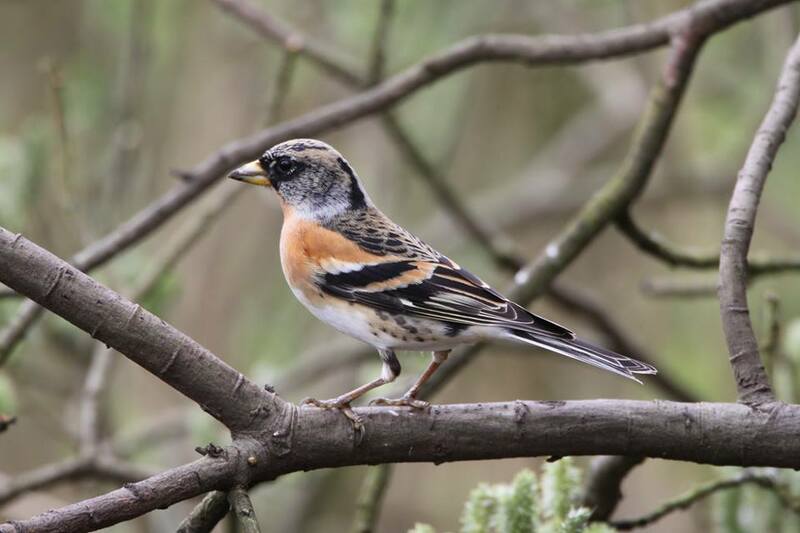 On the 18th April they will be taking a short walk around Marbury village and Big Mere to see Spring birds. 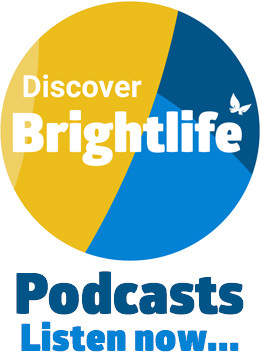 It’s an easy walk that is particularly suited for the over 50’s and the cost is £5. Booking is advisable. Contact Anne on 01352 750118, 07896 830940 or anne.brenchley@coraxecology.co.uk for more information. The full schedule for the next few months is available below.